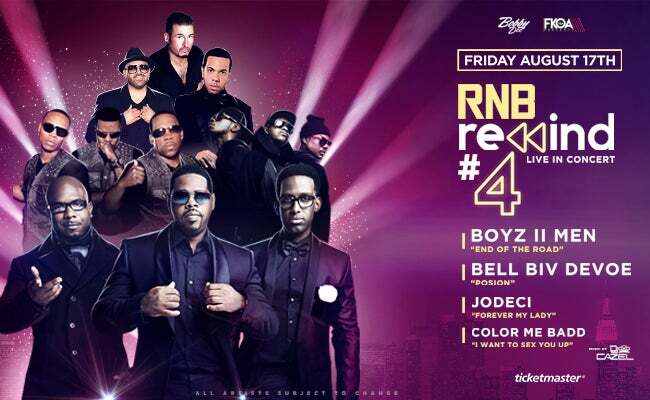 R&B Rewind Fest will feature Boyz II Men, Xscap3, Jodeci, Bell Biv Devoe & Color Me Badd. R&B superstars Boyz II Men bring their soulful ballads and mesmerizing vocals to the Thunder Valley stage, joined by Kenny “Babyface” Edmonds. From their dominating run at the top of the pop charts, hear timeless hits like End Of The Road, I’ll Make Love To You, Losing Sleep, and Lady, Lady.